For the past few months, there's been one restaurant on my radar and I've been dying for an excuse to visit. That place is Platform 1864 - located in Tain. A small coastal town jam packed full of history. 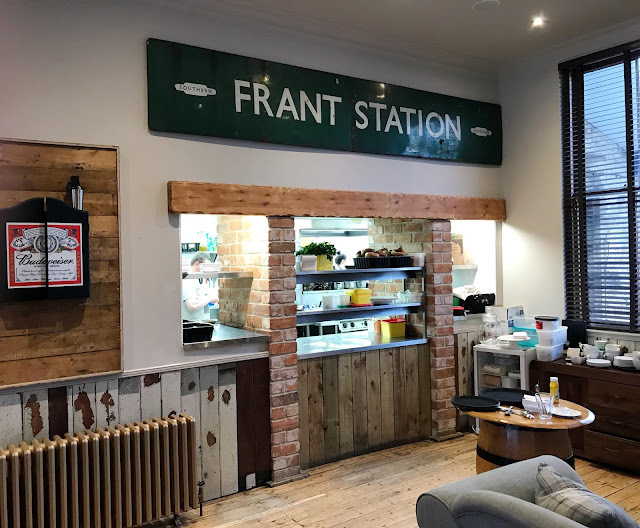 Platform 1864 was originally the town's train station building but was converted into a bistro back in 2015 as part of a local regeneration project lead by chef/ owner Graham. 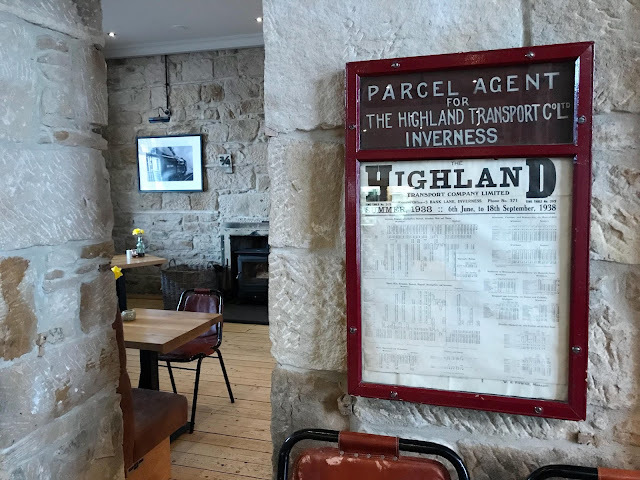 Since opening their doors to the public, their presence in the town has been a much welcomed addition bringing in both locals and tourists, particularly those embarking on the North Coast 500 route which runs through Tain. The interior showcases various quirky rail travel themed items such as signage, framed original timetables and antique conductor's bags. 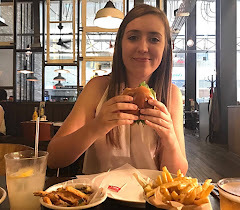 The wooden features and crisp light walls give the place a fresh, welcoming feel and really sets it apart from any other restaurants in the area. 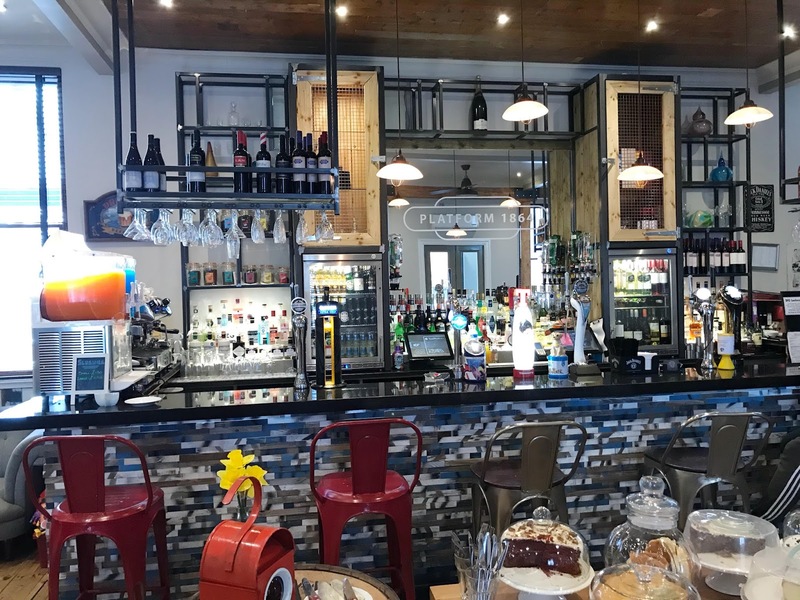 Upon arrival, myself and Sean were given a warm welcome in the bar area and taken through to our pre-booked table in the Garrison Restaurant to the rear of the building. As it was the Easter weekend, it was lovely to see Daffodils in the centre of every table. I really made it feel as though Spring had indeed sprung and the pop of colour brightened the place up even more. For the duration of the weekend, a special Easter menu was in operation offering a set one, two or three course option alongside the daily special board. At just over £20 for a three course meal, you can't complain at that! Having already spied the menu on their Facebook page, I'd already got an idea of what I was going to order. Whilst perusing the menus, we ordered some drinks. The bar has a very impressive selection of drinks including gins, cocktails, beers and spirits. For our first course, we both went for the Leek and Potato Soup. The portion size was perfect to start a meal, nothing too filling but enough. 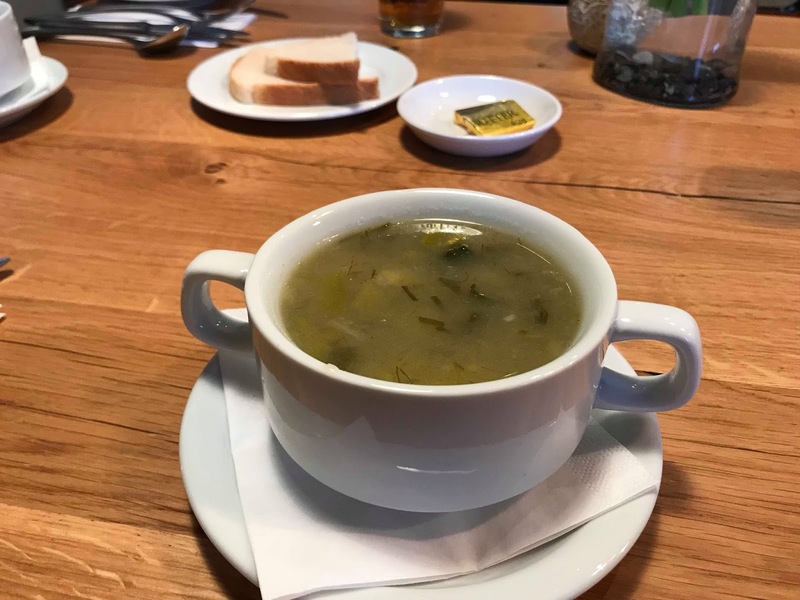 The Soup itself was decent. It wasn't the best I've had but wasn't the worst either. Personally, I would've preferred this to be served with fresh home-baked rolls rather than a sliced loaf of bread. 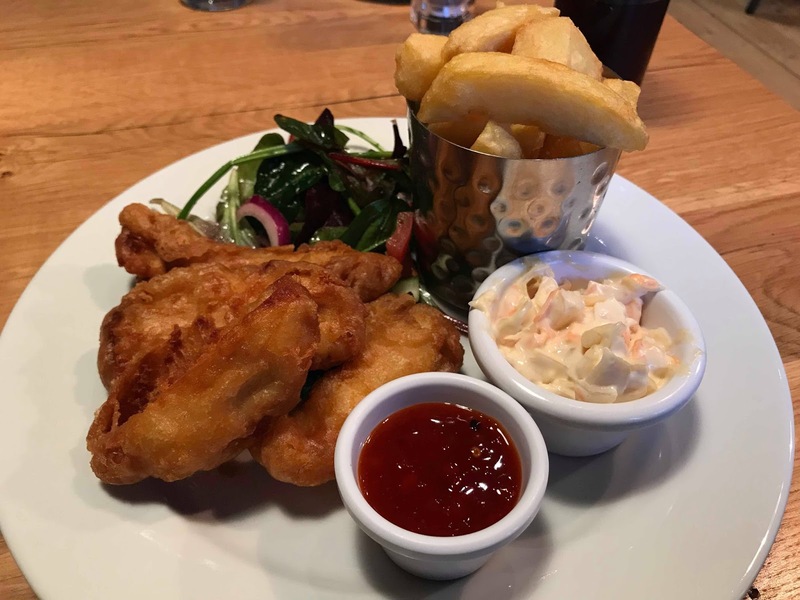 Moving on to main courses, I went for the Chicken Goujons which came served with Chips, Coleslaw and Sweet Chilli Sauce. This is exactly my type of meal. The Chicken was succulent, the Goujons crispy and generously covered in batter - perfect. The chips here are homemade, served chunky and have just the right crunchy-fluffy balance. 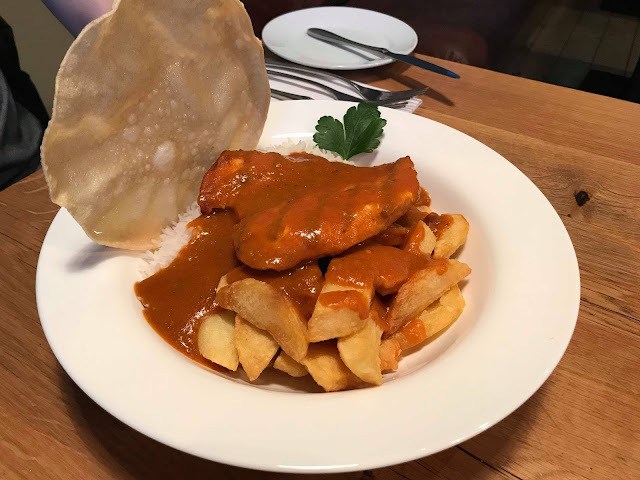 Sean chose the Chicken Curry served with Rice, Chips and a Poppadom for good luck. The sauce itself was flavoursome but at the same time mild, catering for all palates. The portion size of the curry was extremely generous but regrettably meant leaving some. You should know me by now, obviously I'm going to have dessert. After a toss up between Sticky Toffee Pudding and Chocolate Brownie, I opted for the latter. 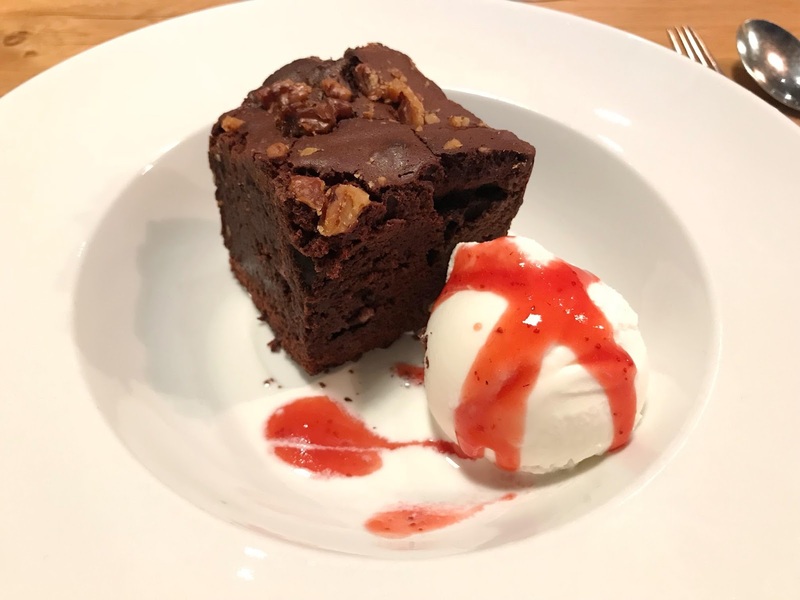 The Brownie was sinfully rich and again, generous in size. Although a little on the dry side and more of a sponge like consistency, I still enjoyed my pudding! I understand that Walnuts are optional in the recipe but I would have liked to have known beforehand that the Brownie contained nuts. Even more so for any diners who have allergies. My overall thoughts of Platform 1864 are that it's a fabulous venue. I loved the interior design and hospitality that we received from the members of staff was second to none. In terms of food, we were satisfied with all courses and with the large portions sizes, were more than full enough upon leaving. Based on the menu served over Easter, prices are excellent value for money. 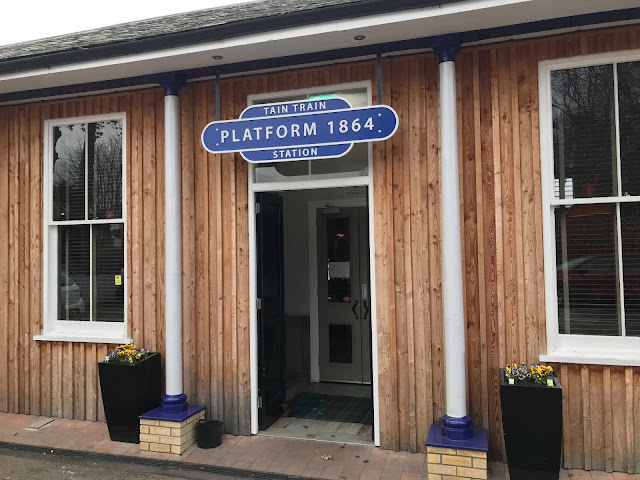 As well as serving food at night, Platform 1864 are open bright and early for breakfast, followed by lunch and is even a great stop for a fresh coffee and slice of cake. It's clear to see that a lot of effort, love and time has gone into making this place what it is and I'd definitely say to stop by if you're in and around Tain, even if it's just for a drink or two. It'd be hard to resist the food though!